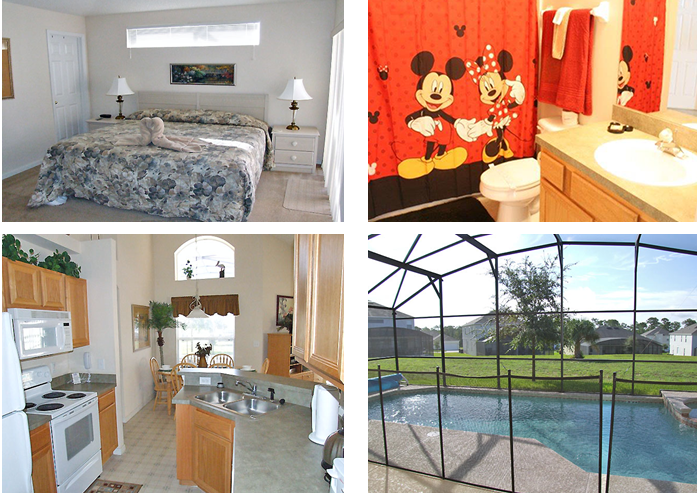 This is Michael and Susan’s SECOND of two side by side and IDENTICAL beautiful fully air conditioned single family homes in Orlando. 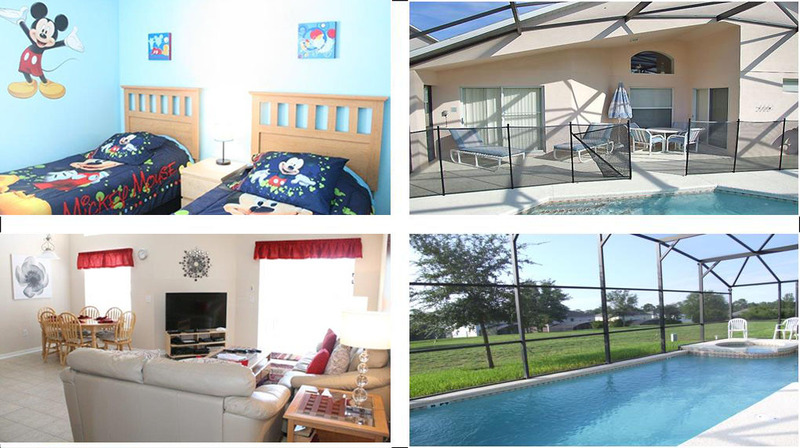 With 4 bedrooms and 3 bathrooms, an airconditioned GAMES room and a heated swimming pool/spa, it is the perfect place to spend a Disney vacation. Located on the prestigious gated Emerald Island Resort, you will be able to make use of all the clubhouse facilities too. seating for four and extra chairs, four loungers and large pool towels. the other attractions that are nearby. The air conditioned games room is a gamer’s delight! Not only is there a foosball table, a pool table, air hockey table, electronic darts and 4 mountain bikes. but now in late October 2015, we’ve added the latest basketball game, It will keep the little (and big) kids amused for hours! We wouldn’t blame you if you never wanted to leave or go home!! We even supply FREE starter quantities of essential household items and so being fully equipped, all you need to bring with you from home is your swimming gear, camera and walking shoes!